Why place Travel Ad in Samaja Newspaper ? 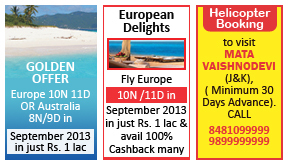 How To Book Travel Ad in Samaja Newspaper ? Once aware of travel rate card of Samaja proceed with your Travel online classified booking. Now view rates & book your travel ads on Samaja in a simple online process!